Feathery cards, whether pink, blue, black or white can look really spectacular. There are many different types of feathers and each one will give you a different look. How feminine is this card? 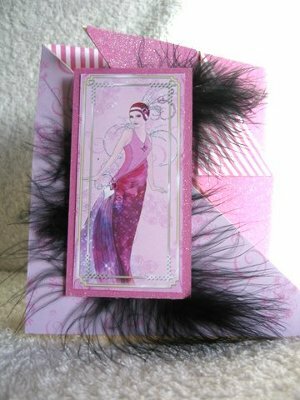 The color, the Basque and the beautiful feathers are all designed to make this a real girls card. The feather is fixed onto the base card first, with some strong glue, and the Basque is decoupaged on top, to the left fold in the card. 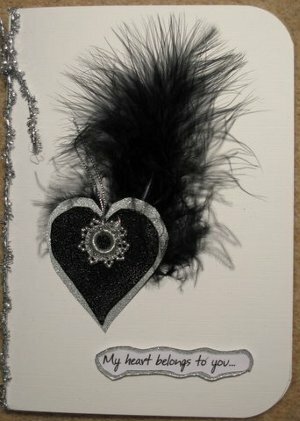 A large black feather was used for this card and added to the card as before. Although these cards are dark and dramatic, feathers can be used to great effect on baby cards too. Pretty pastel pinks and blues can be added, and children will love the texture of the card. These are just some of my ideas, let your imagination loose and experiment with this very inexpensive material material. Once I had finished this it still needed that little extra and so I reached out for the feathers... and what a difference they made. So you can see that it's not just cards that can be changed with this useful embellishment but other items too. Or buy some cheap notebooks and dress them up as gifts for your firends and again there is a video tutorial to show you this neat idea too. 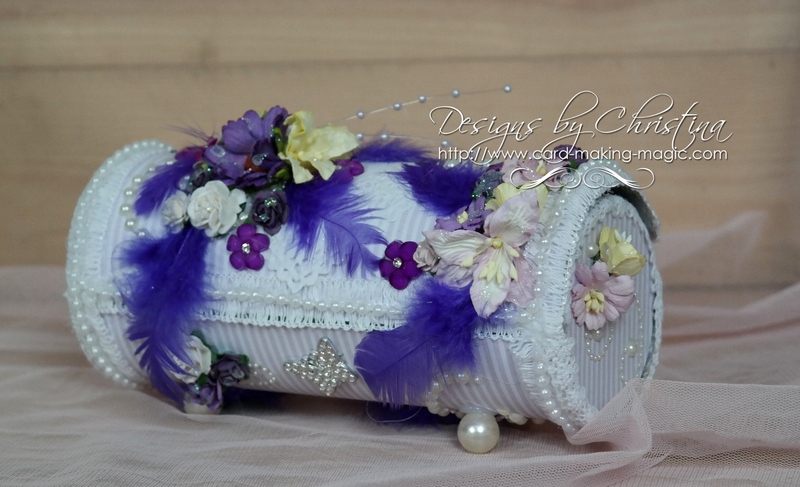 Altered Notebooks that have feathers attached can look stunning. And if you don't want to use the real thing then look for dies that will cut out feathers from card and use them instead.